A broken garage door creates an urgent situation at your home or business. At home, you depend on a high-functioning garage door for convenience and protection. At work, you need high-functioning commercial garage doors for productivity. When one breaks down, look to Stapley Action Garage Door for superior garage door repair in Arizona. We have the experience, knowledge and team to get your garage doors back in working order again – quickly and effectively. We work on garage doors and openers of any make or model, making us your go-to source for commercial and residential garage door repair in Mesa and Flagstaff AZ, and surrounding communities like Chandler, Scottsdale, Gilbert and beyond. When you need home garage door repair in the Phoenix area, don’t you want an experienced team that offers only the best of the best in repair and replacement products? That’s our philosophy at Stapley Action Garage Door. Not only do we respond urgently to your call for residential garage door repair in Arizona, we also offer a selection of high-quality repair and replacement products. This ensures that the services we provide will deliver long-term value and keep you from needing further garage door repair for as long as possible. Choose Stapley Action Garage Door for exceptional home garage door repair in Arizona. 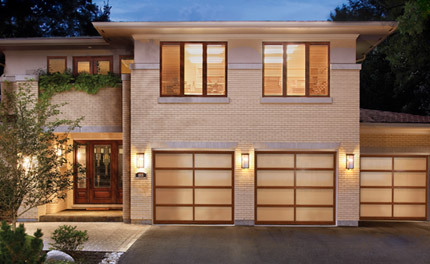 For many homes, the garage door is considered the new front door — it’s estimated that average homes use their garage doors over 1,000 times per year. At Stapley Action Garage Door, we have over 30 years of experience repairing and maintaining garage doors to keep them in proper working condition, so they effectively and reliably operate as you expect. Inspect: To begin, our technician will look over all moving parts of the garage door and opener and ensure everything is calibrated and adjusted correctly for reliable and safe operation. They will also clear away any debris buildup around the photo eye sensors and tracks. Tune-Up: We’ll then lubricate and grease all moving parts like springs and rollers to avoid rust buildup and keep the parts in good operating condition. Replace: As needed, we’ll recommend replacing any parts or hardware that are beginning to show noticeable wear and should be replaced before the product fails to work properly. Unexpected breakages could result in a safety hazard and leave you with costly last-minute repairs. Many building owners and managers make the error of only having their commercial garage door looked over after an essential piece of hardware or part has failed. When your building’s garage door breaks, you decrease productivity, incur expensive emergency repair costs and ultimately increase the safety risks for employees. To keep your commercial garage door in good working condition, a professional garage door technician should inspect the system at least once annually — however, your commercial garage door may need more frequent maintenance based on your facility’s geographic location, environmental conditions and the normal daily operations of the door. Your business can’t afford to lose time to a broken garage door or garage door opener. Losing time means losing productivity and ultimately money. That’s why Stapley Action Garage Door responds urgently to your call for commercial garage door service in Phoenix. We work on a range of commercial garage doors, including high-speed doors, rolling steel doors, mega doors, fire doors, fabric doors and more. Our technicians are experienced in working with this range of products, and they can deliver expert guidance and effective repairs no matter your situation – all with an emphasis on getting your commercial garage doors up and running again just as quickly as possible. Our team is the key to our effective garage door repair in Arizona. We offer helpful, friendly customer service representatives as well as experienced, knowledgeable technicians who work in concert to help deliver the finest garage door repair services in the Phoenix area. We make sure we respond quickly to your call for garage door repair, knowing that a broken down garage door can be a serious slowdown at your home or business. Our technicians can quickly diagnose the issues you’re experiencing and provide expert guidance as you consider your options. Once you decide on the best course of action, we move quickly to execute the garage door repairs. Before you know it, your garage door will be back at 100 percent again. Since 1986, we’ve served the Phoenix area with high-quality products and exceptional services – including residential garage door repair in Mesa, AZ, as well as surrounding communities like Chandler, Gilbert and Scottsdale. We have the products, team and resources needed to quickly repair any issues you’re experiencing with residential or commercial garage doors. When you need garage door repair and you need it fast, count on the team at Stapley Action Garage Door. Contact us today about garage door service and repair for your home or business.